This was my first experience using Turo and it couldn’t have gone better. I’d highly recommend using Jasvir for your next car rental in Seattle. 5 stars. Steve was great and made my first Turo experience as easy as it could be. Pickup and drop-off at SeaTac was not an issue and would definitely go to Steve again if I need another car rental in Seattle. What's the deal!! I doubt if I ever shall rent a car in old fashion again. The car was clean, in perfect condition, even though a bit higher mileage than usual rental cars. The process of in and out was simple and quick. Delivery to the airport was a huge plus! Bless Turo and the car owner for making it happened. Matthew was so nice & his car ran great Actually it was almost brand new. Can’t believe I spent so much money on rental cars before. Definitely rent from him again if I’m ever in Seattle! Everything was made easy using the Toyota Camry from Dad's Rent-A-Car. They took a lot of worry and uncertainty from our trip and provided us with new opportunities thanks to the accessibility of the car. Excellent experience! Beats the car rental lines. We would like to say that Charinth’s operation is hands down, THE BEST EXPERIENCE my family has had in dealing with rental cars or AirBNB. This is our 1st time to use TURO & quite apprehensive at first. From beginning to end, Communication, Flexibility, Condition of his cars.... WOW!!! I cannot say enough. Thank.. Thank .. Thank YOU for making our vacation feel so luxurious Charinth! First Class Business Operator!!! Thank You! I rented Jasvir’s 2006 Toyota Prius before my flight to Seattle, WA came and, yes he’s such a great, courtesy man! The pick up/drop off process went smoothly especially the car too cause I’ve maintained the interior properly using the Febreeze scent to make the car refreshing. Good fuel efficiency & the engine worked as a charm! Highly recommend using Jasvir’s rental cars if you want to experience Seattle! Well received! My 1st Turo experience. Smooth. As advertised. Met the owner at the agreed time and place. Used the app to complete the pickup, pictures, info. Used the app to complete checkout. User friendly app. No gimmicks, no extra fees other than insurance. I would recommend this as a great alternative to traditional car rental companies. Can’t possibly get more convenient and easy to “rent” a car than this! Someone meets you right outside your baggage claim to take a pic of your driver’s license and hand over the keys to the car. Then when it’s time to return the car, you just let them know when you’re on your way to their dealership (minimum one hour) and they drop you off at the airport curbside at your airline counter in the same car (so no unloading and loading your luggage). This being my first time using Turo, I felt more comfortable using Burien Nissan since they’re an actual car dealership. The best part was that the price was competitive!! They have an entire fleet of cars just for Turo!!! Excellent communication and very friendly staff there! If we ever fly into Sea-Tac again, I will definitely rent from them again! Jessica and Maddie were so prompt, kind and professional. Thank you!!! Hands down the best car rental experience I have ever had! Thank you Bijo fir making the car rental a smooth process. The car was very clean. Eric is the best host you will find! Great guy - very friendly and nice. His car was awesome for our trip, super gas friendly and in pristine condition upon pickup. 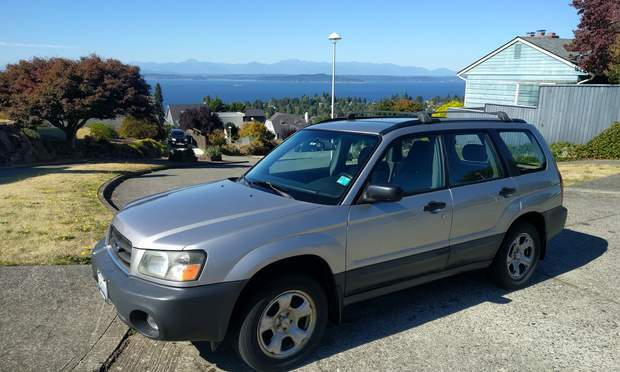 I will absolutely rent from him again if I’m in the Seattle area, and would highly recommend him to all other Turo users! Thanks for providing a great experience! Great experience! Renting was significantly cheaper than a car rental place, Q was a cool dude. Would rent again! Great car at a great price. Thanks! Really made the trip great! I’d recommend over commercial car rental company any day! Overall amazing experience! Quintin delivered and picked up the car right near me! The car was great, ran great and was beyond great on gas! Thank you again! Steve made the car rental process easy! When I went to pick up the car, he walked me through everything to make sure I knew where everything was and felt comfortable for the trip. And the car was great - perfect for a weekend getaway! I'll definitely rent from Steve again. Renting Quintin’s car was so convenient and such a great way for us to take a road trip to Portland and Vancouver. Pickup was easy and he was super flexible when we needed to extend the trip by a few hours. The car ran very well and never gave us any trouble. I would definitely rent from Quintin again if I am in Seattle! Victor was amazing the whole time we had the Prius. He answered all my questions super fast and I even asked for two extra hours and they were approved. The Prius was awesome we came nowhere near the miles allowed which was awesome and the best part was having the car 8 days and only paying $30 for gas! We were able to enjoy a big part of washington and not worry about the miles :). I will definitely be using one of victors cars when we go back to seattle. Paul’ communication is great. What started off rocky turned into an amazing car rental experience and he’s appreciated for that. Would definitely do business with Paul again. Great car, great rental experience, thanks! I had such a great experience. Hands down way better then a car rental. Very family friendly and I definitely recommend booking with Jasvir. 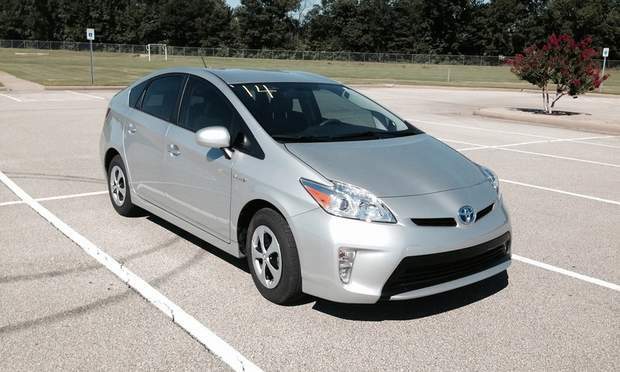 The Prius is well kept, reliable, and affordable for a stay in Seattle. Joan was super nice, and the communication is really fast. 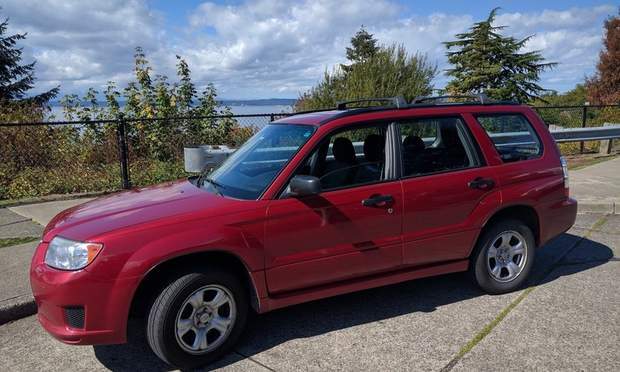 The car itself is great, it's probably the only manual transmission that I've rented in Seattle that doesn't have some type of loud and annoying exhaust modification on it. The exhaust note is still there, but it's not loud enough to wear on you when you go on a long drive. Even though it's very sporty, it is comfortable and smooth when you are just cruising on the freeway. I love the boost gauge in the middle and the whoosh sound when the turbo kicks in. Quintin was very accomodating in terms of rental time, car’s pretty clean inside, a bit of wear outside, but hey this kind of deal is hard to pass by, considering what Quintin offers in terms of value. We visited Seattle for business trip and he made our trip a lot better than what we were expected. Pick up/drop off was so smooth. Communication was so clear and quick. Everything was perfect, and we strongly recommend his car to drive Seattle. Great rental! Not only is the car a huge gas saver the pick and return process is spot on. It's just like getting home from a trip and picking your own car up from the parking lot. Defiantly will rent again when back in town. Thanks Victor! Great service and on time. Clean car and fun to drive. I go to Seattle monthly and this is so far the best Turo experience. Eric provided the best vehicle & service experience I have ever received in a car rental! We were picked up from the airport within 5 minutes of contacting Eric. His car is immaculate, inside & out! With a full tank of gas, I have received cars without a full tank if you can believe it... Communication was excellent. I appreciate that Eric is meticulous in caring for both his cars & his customers. Truly a pleasure! Thank you Eric. See you next time we travel to Seattle! Paul makes traveling way easier. He is punctual and the transaction at the airport could not be easier. This Is the only way to rent a car. Joelle made it super easy to rent a car with a free pickup and drop off. We ended up needing to change the time and she was very flexible and punctual. We’d definitely rent this car again while in Seattle. Sabih was a very accommodating and gracious host. He was very flexible and made sure everything went smoothly. 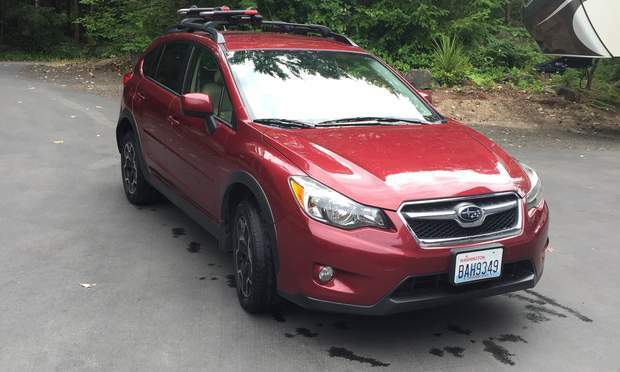 Would highly recommended this to everyone looking to rent a car in the Seattle area. Jasvir made the trip really great. It was my first time using Turo and he helped me use the app and explained everything to me so that I would understand how to use it and communicate with him. He was very responsive and really nice. I would definitely rent a car from him again if I were to visit Seattle again! I came to Seattle and needed to rent a car the next day. Uchennas car was available and I had no problem picking it up at his apartment while he was on vacation. If I’m back in Seattle I’ll be sure to rent fr him again. Thank you! 2nd time renting Eric's Lexus in two months. He is great at communication and his car is the perfection luxury/sport car. I will rent from Eric every time I'm in Seattle!! This was our first time using Turo, and we will for sure be renting from Dzenan again! Pick and drop off went smoothly. This was the perfect car for our trip!! Austin is “The Man”! I have rented from him multiple times without any issues. His vehicles are in solid condition and have never given me any problems. His ability to work with me and meet me at the airport has been awesome. Rent from him without hesitation. I travel to the Seattle area multiple times a year and will continue to rent through him every time. Thanks! Victor's CR-Z is exactly what you'd expect, a Japanese sport coupe that harkens back to the days of the CRX and Celica, which the advantage of a hybrid drivetrain that saves gas. Don't expect an out-of-the-world experience, as this is not that type of vehicle. The car can be a little bit hard to find, but if you look at the pictures that Victor sends you, you'll be able to find it. 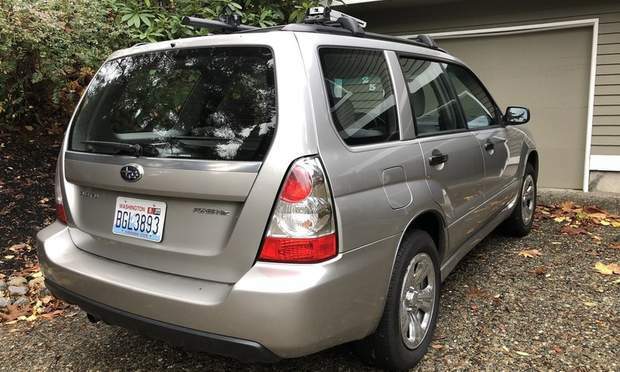 Some of the other things I noticed about the car are that it sits pretty low to the ground, the exhaust is somewhat loud inside the cabin, and the ride is a little rough on Seattle streets. This was my first time using Turo. It exceeded my expectations. I don’t think I’ll use a regular rental car place again. Thank you! Peter is cool, humble, and a very easy going guy. If I came back to Seattle definitely I'll rent it again from him. Leiff was very flexible with pick up and drop off. Communication was awesome as well. The VW was absolutely fun and easy to drive with lots of power to help me with merging on to the freeway (No freeways on Kaua’i). I will definitely try and rent out Leiff’s car next trip! Eric was awesome. Drop off and pickup we’re super easy, car nice and clean. Will use him again next time we’re in Seattle! 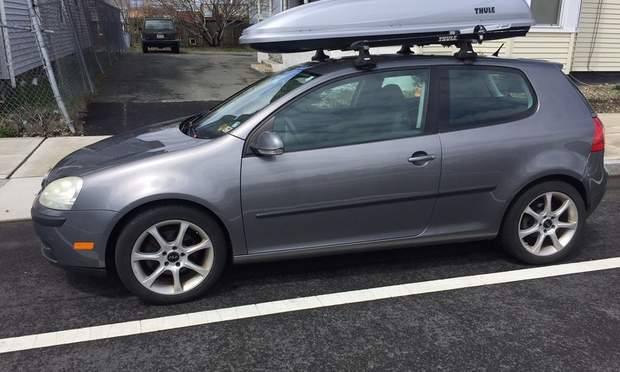 A perfect car for road trip and the owner Robert is very friendly and easy to communicate with, would rent it again! Awesome car with easy to use rental service. Will definitely be renting again soon! Perry made sure everything was taken care of and when I needed to cut my trip short he made it happen. I highly recommend him and his cars! A+ five star service. Super close to the Seattle Tacoma International airport. Car was clean and extremely fuel efficient. Everything was just as advertised on the app. Would book again next time in the area! This rental is through Burien Nissan, the process went well. The car was as expected and I did not have any problems. Aurelia was extremely accommodating and friendly, and gave great suggestions for being outside in Seattle. Would rent from him again for sure! Great trip! Brandon made the pick up and drop off process super easy and quick. Amazing vehicle to take around Seattle. Thanks again Brandon! Highly recommend renting from Paul. Promptly confirmed the rental with delivery and pickup, right at the front door. The car was clean, reliable, and drove very smoothly. The first car I tried renting from another owner fell through with no response and so glad that it did. Great renter, and extremely convenient for a tourist from out of town looking to check out some sight seeing in Seattle!! Highly recommend Quintin!! He was SO nice and accommodating. We got 800 miles which is a TON. He picked us up and dropped us off so conveniently at the airport. The car worked very well and we had no problems with it. We drove about 500 miles on it and only filled up 1 1/2 times. If I’m ever back out here I will rent one of his cars again no problem. Thank you!! As always, Joan is my favorite person to rent from. Extremely easy to work with and very quick to communicate. Also, she has awesome cars. Thanks again, Joan! I needed a little extra time for the return of the car, messaged Nick and he was quick to respond and offer a few options to extend with my travel plans. I would definitely use Nick’s Fiat again if I need a car in Seattle. I was discouraged using this app but my husband said we should try since it’s way more affordable then using the conventional rental cars. The first car we requested, after paying we were cancelled on and already being at our destination I was very discouraged. However, we gave it one more chance.... and I’m so glad we did. After requesting Bruce’s car he personally contacted me and the rest was smooth sailing. Not only was he flexible but he was very nice. The car was clean and even arrived earlier than expected. If you need a car in the area don’t hesitate and use Bruce’s Prius. Found Turo by accident! This was my 1st experience and it was GREAT!! Will absolutely use Turo going forward!! Thank you for an easy and more personal car rental option!! Seriously such a great experience and a cool car. First time using turo and was faster than the car rental counters. Chris was great at getting back to us right away and the car was immaculate. This was really easy and much nicer than renting at a car rental spot. She was very responsive and answered questions fast. I would do it again in a heartbeat. Excellent first-time experience. Family of 5 traveled with ease. Picked up and dropped off car at the airport. Car was slick and in excellent condition. Would definitely use again over any traditional car rental agency. Benjamin was easy to communicate with and his car was great! He picked us up from the airport just minutes after we landed. This was the easiest car rental experience I’ve ever had! This rental was incredibly easy especially considering I booked it same day. The car ran great and communication with the owner was very fast. I really appreciate being picked up and dropped off at the airport on time. I traveled alone and felt very safe. I also extended my trip and it was easy to extend the car rental. I will book this car or with this owner again for future trips. Very happy! Highly recommend. Wonderful car and rental experience. Couldn't have been easier or more enjoyable. Dan's Model S P85 is beautiful and a blast to drive. Thanks for making my stay in Seattle area so memorable! I'll never rent a car any other way. Turo made it super easy, convenient, and did it in style. The owner Nick was super cool, made the whole experience very easy. First time use Turo...it was a great experience for airbnb version for cars. Car owner Xiong was very kind, easy to communicate and coordinate pickup/dropoff. I will definitely use Turo kind of car rental again and probably list my car also. Last minute I changed my trip, Joan called me right away and helped me with the details. This was my first turo trip & I don’t think I’ll ever go back to a regular car rental! Not to mention this little beast of a car was SO great! Looooved it! First off, Weston is a super cool dude. Pick-up / Drop-off was a breeze--he was very accommodating with my arrival / departure times even offering me the option to pick-up the car early since I was on an earlier-than-planned flight. We chatted on the drive back to his place-we discovered this was both our first time using Turo. The car? The car was awesome. It is SO much fun to drive! Sure, it's a Mazda 3 but it's got personality! The CD player clicks a couple times when you put the key in the ignition--which became oddly charming. The car is great for driving in Seattle traffic because it has great visibility and virtually no blindspot. Overall: Owner is great. Car is great. Best car rental experience ever. WIll definitely be renting the vehicle from him again! 150,000/150,000 stars. The ease of this rental was by far the best i've ever experienced - easy pickup from the airport, and a simple method for returning the car and getting returned to the airport. The car gets great gas mileage, we only had to fill the tank just before returning it after our 4 day trip, and we went all over the place. The best rental car if you're going to Seattle hands down! David was great - super professional and made this whole experience a breeze. The car, despite it's age, is in good order - including newer tires, brakes, and windshield wipers. Would totally rent from David again on my future trips to Seattle. Q is an exceptional car host! Cars are in good condition and reliable! He picked us up and dropped us off at airport, which is so convenient. Super nice guy. After he dropped us off at the airport, I accidentally left my airpods in his car, and he drove back to deliver them. Its good to know theres still good people in this world! Will definitely rent again from Q next time we go to seattle! Without a doubt the best experience I’ve had on Turo! Kristian was so accommodating and even provided us with extra miles for our day trip to Vancouver from Seattle! Kristian will be the only person I rent cars from Turo ! Don’t hesitate to book with him !! Very responsive and understanding with minor delays. Would rent his car again!!!!! Wow!! What a great service and very nice guy!! We had no problems with our rental whatsoever and it got us all the way to Camano Island and back! Thanks David! Thank you! Paul was incredibly accommodating and promptly on time! His car was clean and ready to accommodate all of my business needs. Paul was very nice in all of our interactions and I genuinely look forward to renting from him again in the near future. Super easy to work with. Reliable and efficient car. Breeze. Will definitely rent from Paul again. Thanks much! Peter was extremely accommodating during pick up and return, the car was very clean, comfortable and fun to drive. Highly recommend renting.